Today I’m pleased to welcome Virginia King to the First Draft hot seat. Virginia was born in Sydney. 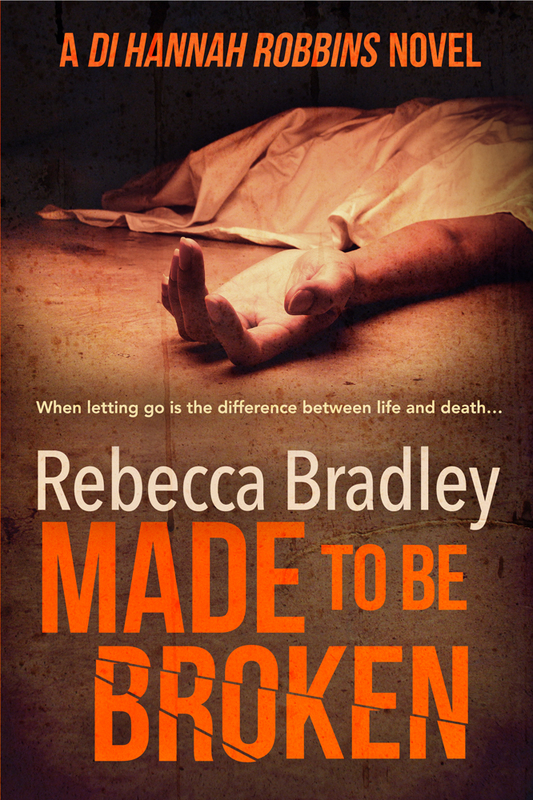 Before becoming the author of a psychological mystery series, she’d led an almost-normal life. 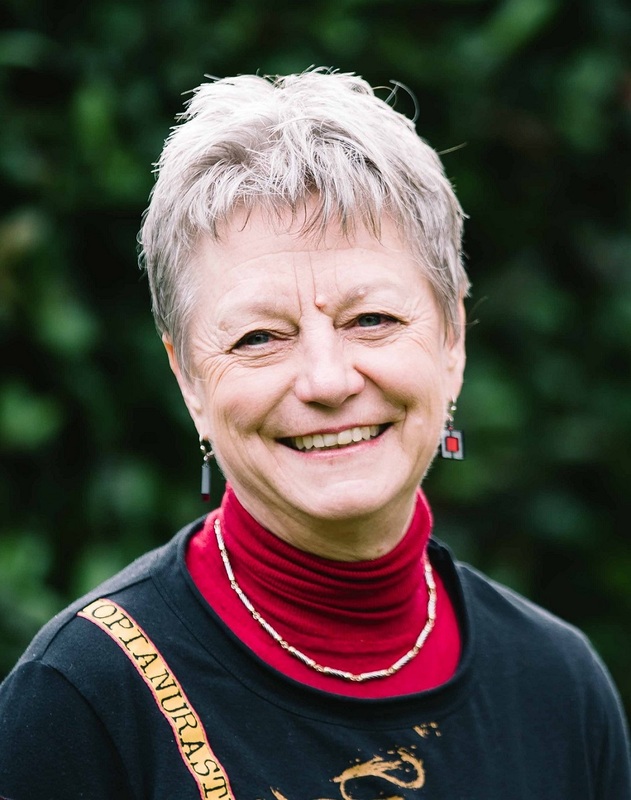 She’d been a teacher, an unemployed ex-teacher, the author of over 50 children’s books, an audio-book producer, a workshop presenter and a prize-winning publisher. Then a massage from a strange woman with gifted hands changed everything. That night Virginia was woken by a voice. It told her to write a mystery series and she believed it. She sat down at the keyboard until Selkie Moon turned up – a modern woman with a mythical name. 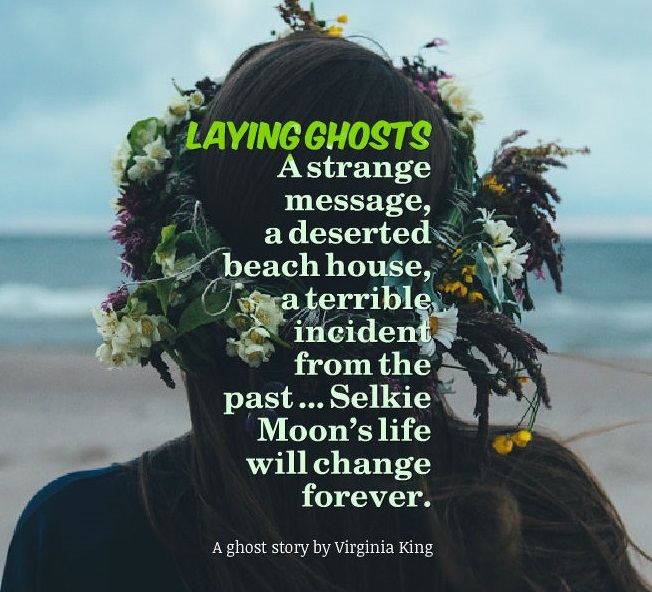 Soon Virginia was hooked, exploring far-flung places full of secrets where Selkie delves into psychological clues tangled up in the local mythology. They’re books about secrets, about the shadows we don’t know are driving us, from our mythical pasts and our present reality, told with a touch of humour. 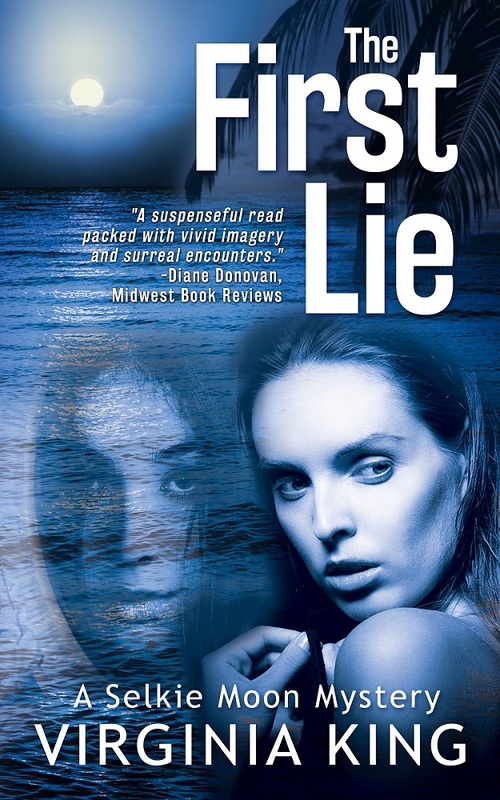 The first book in the series The First Lie won a BRAG Medallion in 2014. The Second Path was published in 2015. Book Three is underway. These days Virginia lives in the Blue Mountains west of Sydney with her husband, where she disappears each day into Selkie Moon’s latest mystery. Bliss. I write a fancy label on the cover of a big new notebook and make a cup of coffee. I should make sure there are notebooks everywhere – beside the bed, in my handbag and my gym bag – but I usually forget until I’m wandering around in the dark looking for an old envelope to write on or scribbling something on a leaflet at the gym. If I have any thoughts I write them straight into the notebook, letting them meander through a chain of ‘what ifs’ and go a bit wild. Then I sit down at a blank screen and wait for the first sentence to ‘pop’. My main rule is an ‘unrule’ – I never plan. But I do have what could be called a routine for my ‘pantsing’ process. From that first sentence I write without judgement and if any ideas pop into my head – the weirder the better – I put them into the manuscript, even if I don’t know what they mean. This might be a character’s action or thought, an object that’s turned up, a snippet of dialogue. Then they bug me until I discover why they’re there. 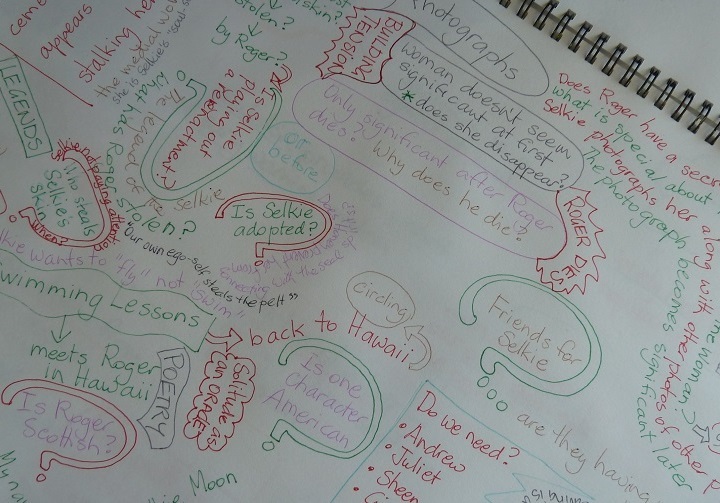 With my first book I created several mind maps trying to discover what kind of series I wanted to write. Now that I’ve got a routine that works I rarely need to mind-map. Straight to keyboard. Sitting down at the keyboard is like dropping into a deep meditation for me. I’m in the zone straight away. That doesn’t mean my writing’s made in heaven – far from it – but there’s something about my little writing corner that puts me into a creative space. Because I encourage ideas to drop in from left field, I’m often venturing into unknown territory, so I’m researching all the time. What does Chinese mythology have to say about cowry shells? Did middle class women in rural Ireland go to school in the late 1800s? Which prehistoric cave art is open to the public in France? Where could I locate a fictitious beach on the Hawaiian coastline, that might remind a homesick Irishman of home? What Russian surname might link to a 1700s murder ballad? Mostly online although I have an extensive library of ‘tree-books’ related to folklore and mythology. Occasionally I’ll ask a knowledgeable friend for information. For example my mystery-in-progress involves unraveling a murder from back in Victorian Ireland and I thought that something written in the victim’s bible might be a clue. But a Catholic friend told me that in her youth Catholics didn’t carry their own bibles because the priests wanted to control the interpretation. I bookmark research and save each link into different folders on my laptop. 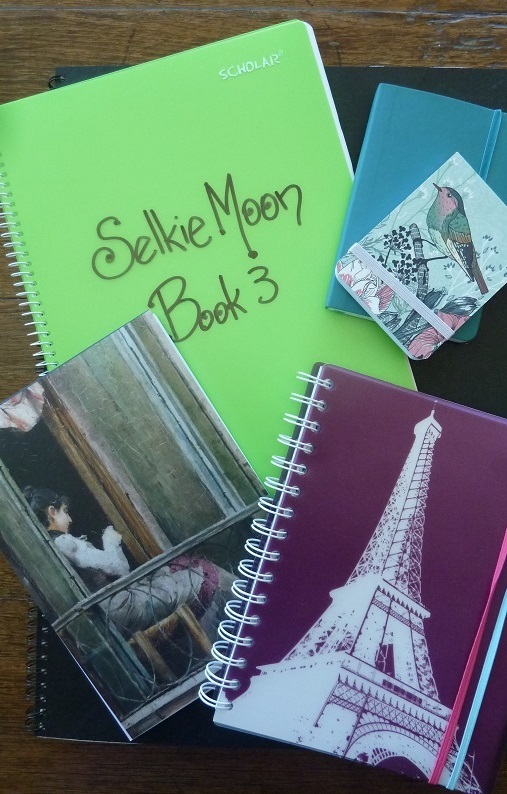 I have a main paper notebook of ideas – and transfer ideas from other notebooks into it. I download free images from various sources into folders. I tried using the research folder in Scrivener but I prefer my old method. 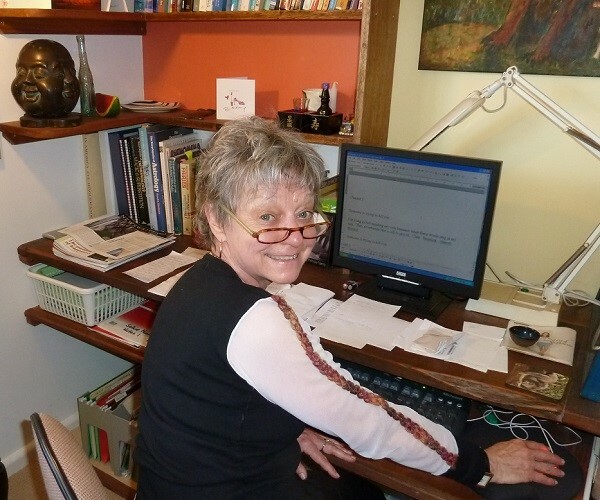 After the first sentence – which sets up a mystery that I have to discover by writing – I continue with little editing. My thoughts control where the story goes and I follow them into the unknown, allowing stray ideas to drop into the manuscript. These first words are usually skeletal because I’m finding the bones of the story. The flesh comes later. Then during the night after each writing session, amazing things happen in my subconscious. My sleeping mind makes connections between all the stray ideas. In the early hours between sleeping and waking I fill the notebook by my bed. If I’m too lazy to write them down I lose them. I often reread my nocturnal notes with no memory of having the thoughts – and they’re almost always gems – deep, clever or quirky. When I’m back at my desk I read what I wrote yesterday, adding more detail and cutting what’s not working – a mini on-the-fly redraft. This rereading is important to get me back into the book and give the subconscious more stuff to work with. This is also when I’ll include any connections that my mind has made overnight. Then I write into the unknown, not worrying about whether it’s working or not, because I’ll come back tomorrow and tweak it before I write more. If I don’t sit down at 10am – after yoga or the gym and the French news – then my day goes off the rails. Coffee is essential and a lunch break – it’s good to get away from the book for some perspective. My house is a mess but I put the writing first. I’m lost. I forget to get up and stretch. Sometimes it gets dark and I haven’t noticed. I used to write on the kitchen table – crumbs in the keyboard and all that. Now I have my own room with a writing corner messy with books – I’m a great browser of dictionaries, they inspire quirky ideas. The walls are covered in art including my own. There’s a bed to sleep a solution to any problems. As I described above I have a mini-edit-backwards-write-forwards process. But I’m not at all inspired by ‘getting the words out’ – I love the magic process of creating a mystery that’s a mystery to me. A favourite quote is from Oscar Wilde: “I spent the morning inserting a comma, then whiled away the afternoon removing it.” I once spent five days sweating one scene – that didn’t feel like magic – because a character wouldn’t reveal herself and I couldn’t write forward until she did. I don’t focus on word counts but checking progress is motivating. I love completing a chapter and starting a new one, but I don’t pressure myself – other than putting in the time at the keyboard. My first book took ten years to write, so we won’t use that one as a guide! My second book took almost a year to completed first draft because my editor did a quick read of an early draft and had me cutting out half of it and reshaping it. Because I’m a pantser the role of my editor to do a structural edit is crucial. My writing is always very polished even at first draft stage (she tells me) but the chapters often need to be rearranged to keep the forward momentum. Computer screen so I can tweak it as I read – always tweaking. It goes for a structural edit, then I dive into the second draft with gusto. I love making the restructuring work – writing new sections, burying all the darlings the editor wants me to execute, defying her advice and doing the opposite. It’s another stage in the creative process. You can find Virginia on her Website, Facebook, and Twitter. When Selkie Moon flees Sydney to start over in Hawaii, it’s to live life on her own terms. But Life has other plans. Though she tries to dismiss the warning as just another nightmare, it soon becomes apparent that someone, or something, is stalking her. Attacked by frightening visions and mysterious compulsions, she must piece together the fragmented clues before time runs out. 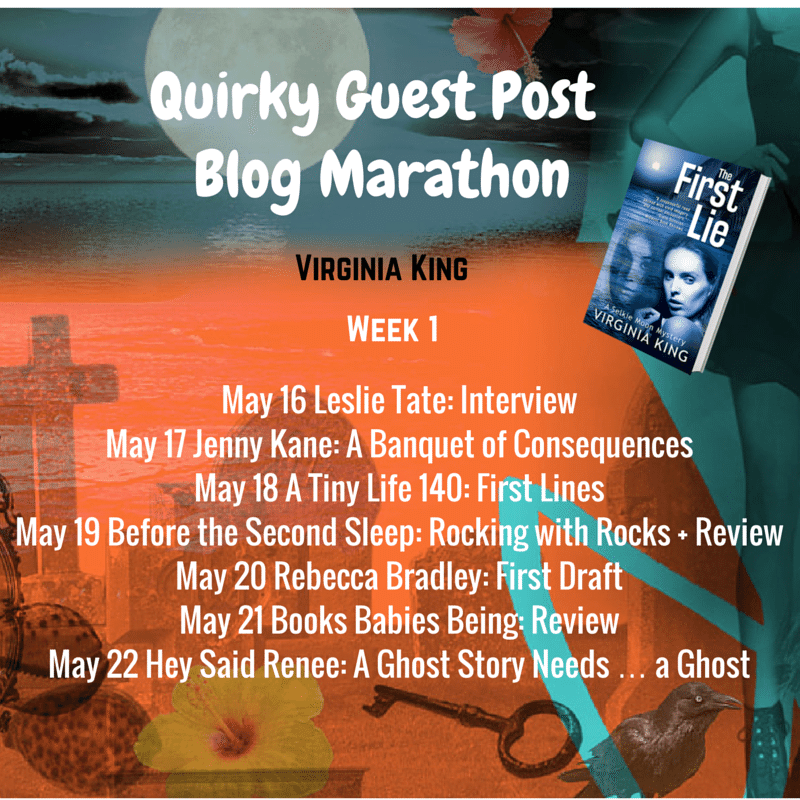 Virginia King effortlessly blends funky creativity and deep spirituality – with a dash of Celtic folklore – to craft a story of one woman’s fight for truth, and her discovery that the lies we tell ourselves are the most dangerous of all. This is how I wrote Laying Ghosts, a 24-page standalone haunted house story tangled up in a murder ballad dating back to the 1700s. It’s also the prequel to the Selkie Moon Mystery Series and explains to the reader (and the author!) just why Selkie suddenly took off to Hawaii. Download your free copy Here. You can find all previous First Draft posts Here. And if you fancy answering the questions yourself, just drop me a line, Here. < Previous Who’s Looking After The Zebras? I can’t imagine rearranging chapters like that. Virginia, you research some interesting stuff. Really interesting post, as ever with this series. Thanks, both. I’d never really heard of being inspired for a story that way, so that’s particularly interesting. Oh, and I know all about ‘zoning’ with the keyboard. Wishing you success. Thanks Margot. I find the process of other writers fascinating. 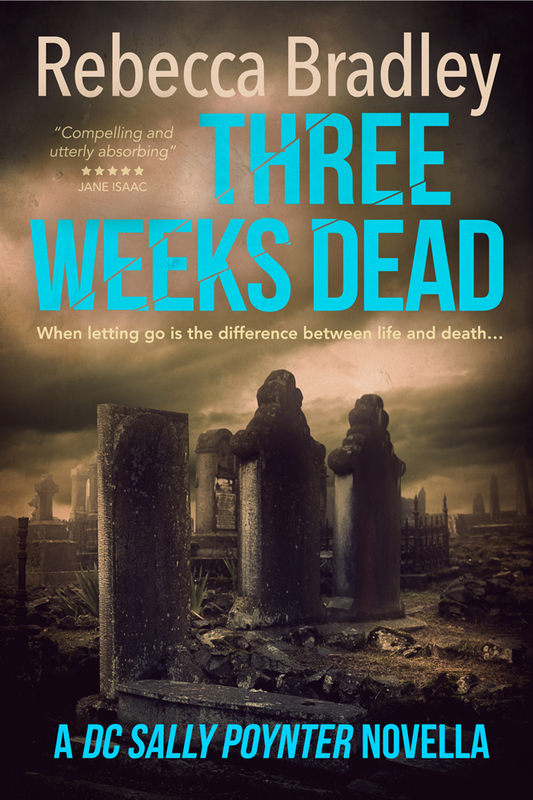 One author posted last week that it took her a while to write her second book because the first 10K words weren’t working so she deleted them and started again. Then she wrote another 15K words and deleted them. If it’s not working she ditches the lot! Enjoyed reading this interview, Virginia. It’s cool how your ideas gel together overnight. My brain works in a similar ‘a-ha!’ way, although I’ve learned if I say it out loud, people look at you very strangely. Ha-ha! Yes better to do all that gelling in private 🙂 Thanks for taking the time to read about my process.